If you want to understand why society is fragmenting, start with the asymmetric burdens imposed by inflation on regular items, like college tuition and healthcare insurance. They show that the US dollar is losing its purchasing power faster than the government would like us to believe. Official statistics say that inflation has reduced the purchasing power of the US dollar by a mere 6% since 2011, to barely above 1% a year. Purchasing power has declined by 27% since 2004—an average rate of 2.25% per year. But real-world experience says the official inflation rate doesn’t reflect the actual cost increases of everything from burritos to healthcare. The divergence between real-world costs and official inflation isn’t limited; it’s just as bad in low-cost items as in high-cost items. 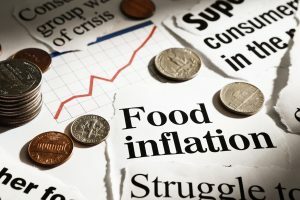 The reality is that real-world inflation in big-ticket essentials is crushing every household that doesn’t qualify for government subsidies of higher education, rent and healthcare. The political and financial elites don’t care about inflation; their incomes have soared far above mere inflation. When you’re skimming millions, who cares about inflation? Lobbyists don’t spend much convincing politicians to slash the soaring costs of healthcare. Universities don’t collect billions in government-guaranteed student loans to lobby politicos to reduce student loans. That’s not how pay-to-play democracy works. In pay-to-play democracy, the goal is to raise prices without improving service, and have the federal government enforce this racket on the powerless public. The fragmentation of society starts with the asymmetric burdens imposed by inflation. The elites aren’t worried about inflation, because they don’t even feel it. And since they rule to benefit the top 5%, they don’t really care what the bottom 95% are experiencing.